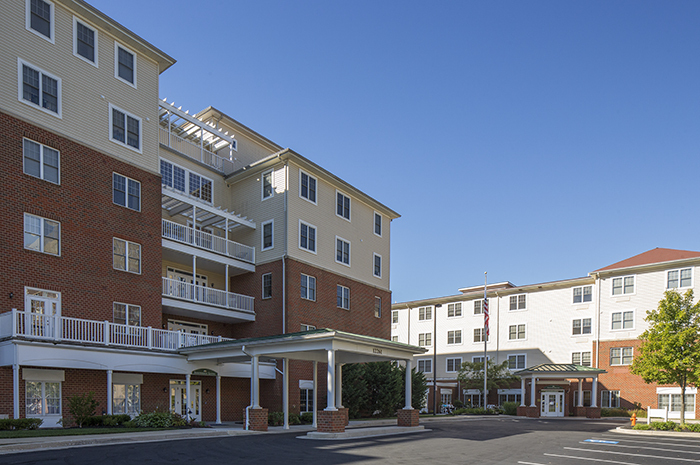 Every day is full of possibilities at Brightview Mays Chapel Ridge in Timonium, MD. 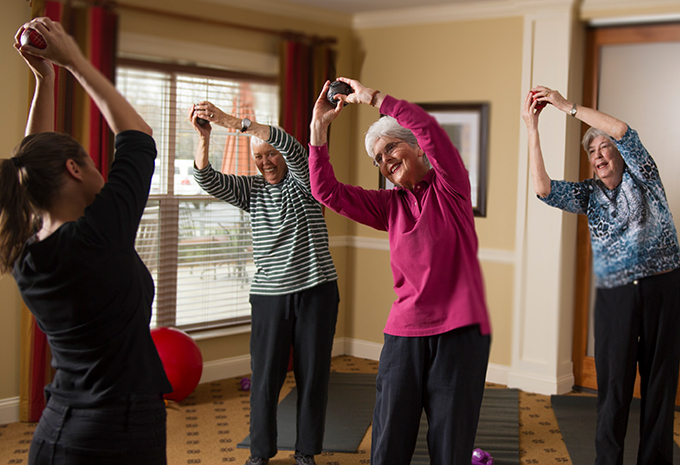 Start your morning with a work out in our fitness center designed with senior-friendly equipment. 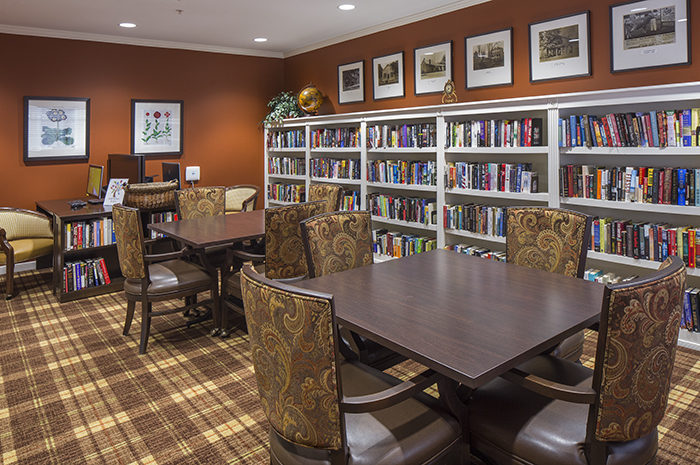 You can relax in our library, take a walk to pick up some treats at Graul’s, visit our spa, or get your hair styled. 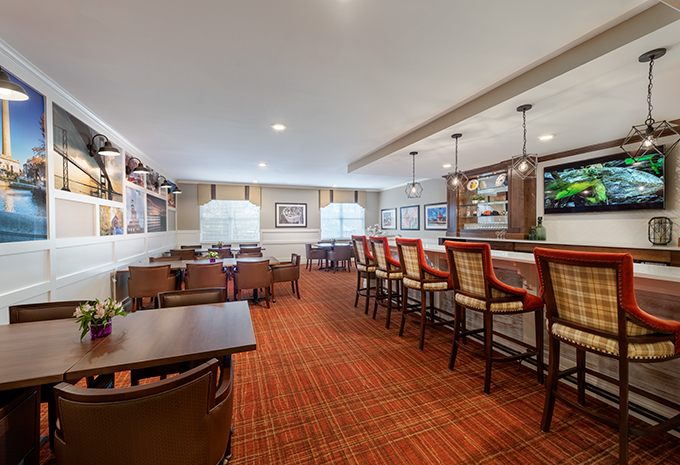 In the evening, you can enjoy happy hour, watch a movie, or cozy up next to our fireplace. 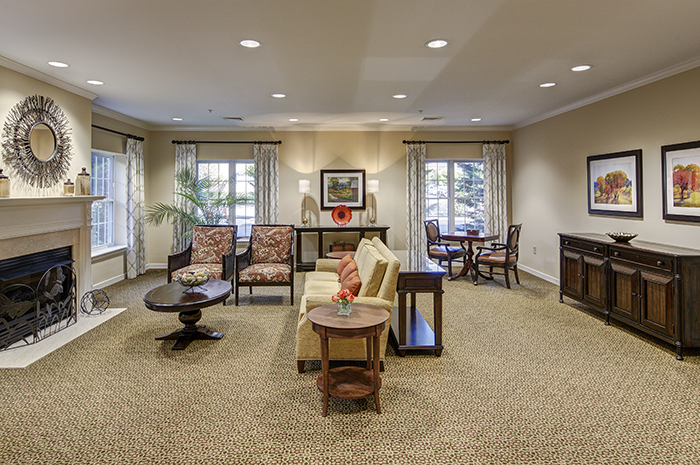 All these amenities come with care if you need it. What will you do first? 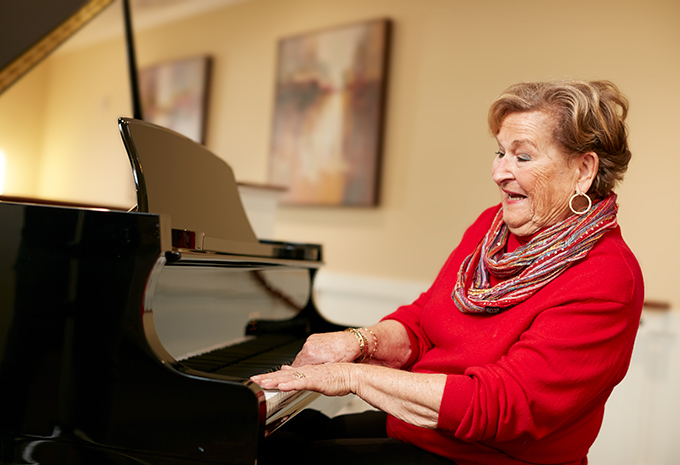 Schedule a personal visit today to see why Brightview is the premier monthly-rental no large entrance fee community for senior Independent Living, Assisted Living, and Memory Care in northern Baltimore County. 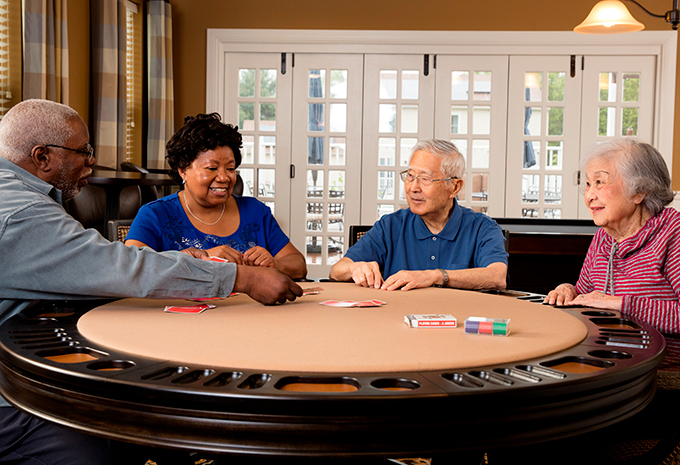 Brightview Mays Chapel Ridge provides senior living in Maryland and serves Baltimore County, including Timonium, Cockeysville, and Towson with Independent Living, Assisted Living and Dementia Care. 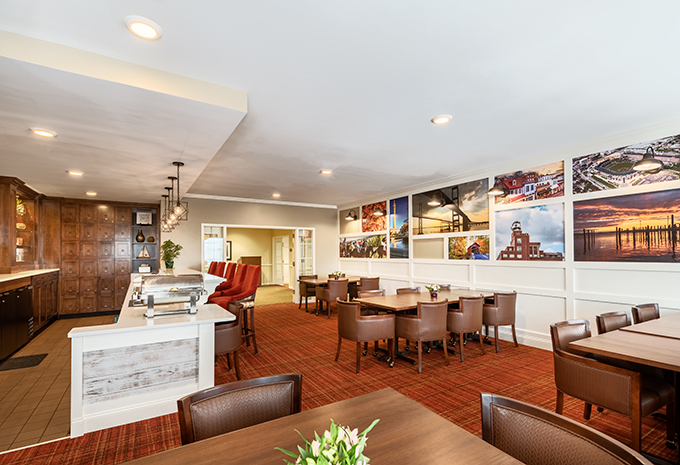 You’ll enjoy every meal here – it’s like eating at a restaurant! 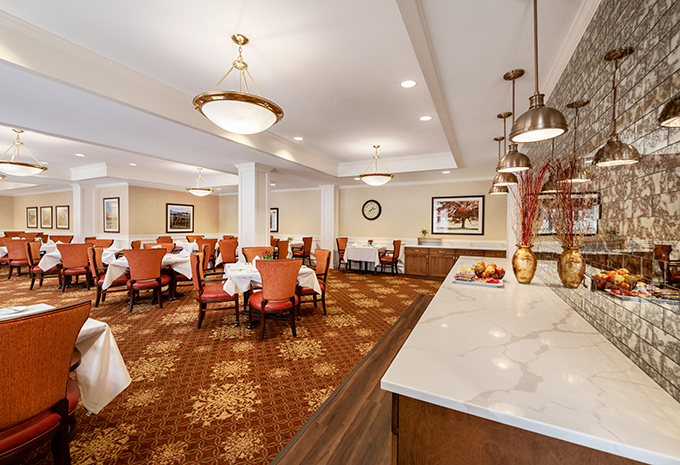 Brightview Mays Chapel Ridge chef-prepared meals and our table service means that you don’t have to worry about anything. Let us cook, serve, and clean up. 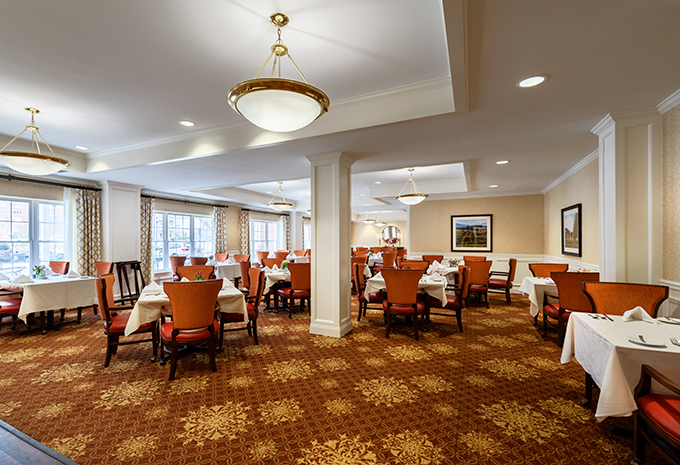 And for special occasions, you can host your own dinner in our private dining room. 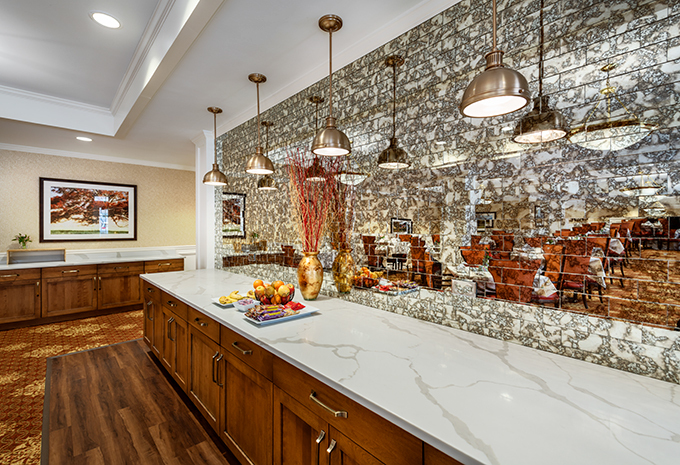 Entertain your family and friends right here in your own home. 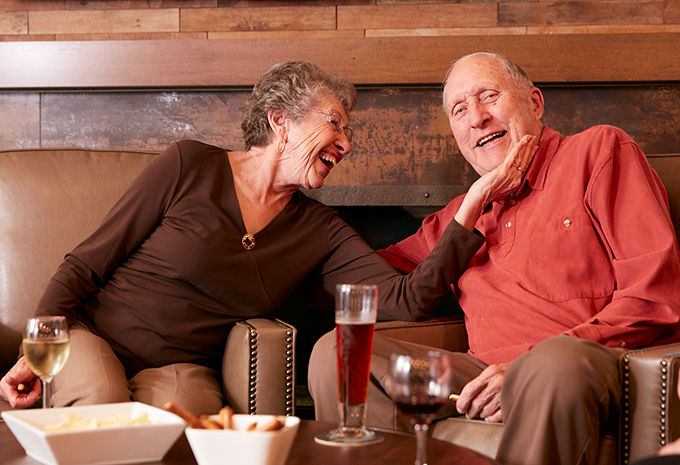 You live here – it should feel like home to you. 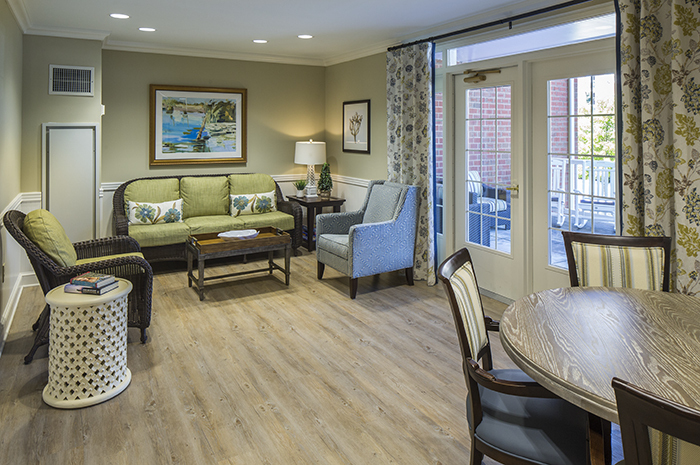 So each of Brightview Mays Chapel Ridge's 163 apartments has individually controlled heating and air conditioning, large windows for lots of natural light, and plenty of closet space. 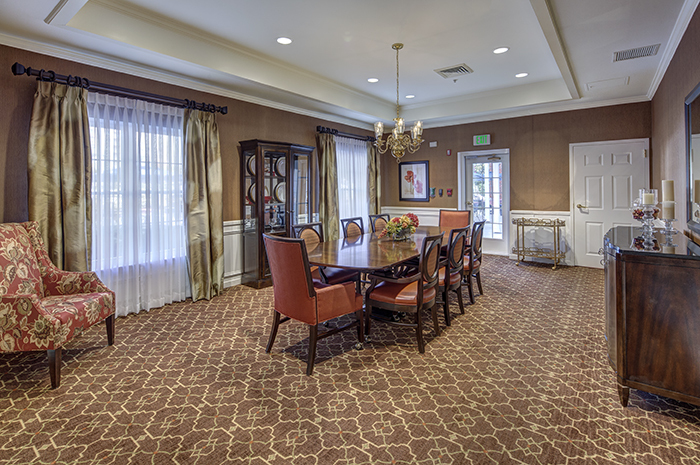 Independent Living apartment homes have a fully-equipped kitchen and a washer and dryer in the apartment. 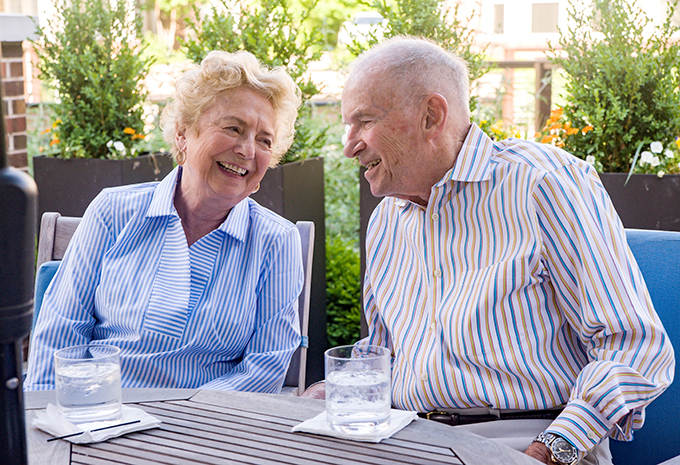 Or if you choose Assisted Living, let us do your laundry for you! 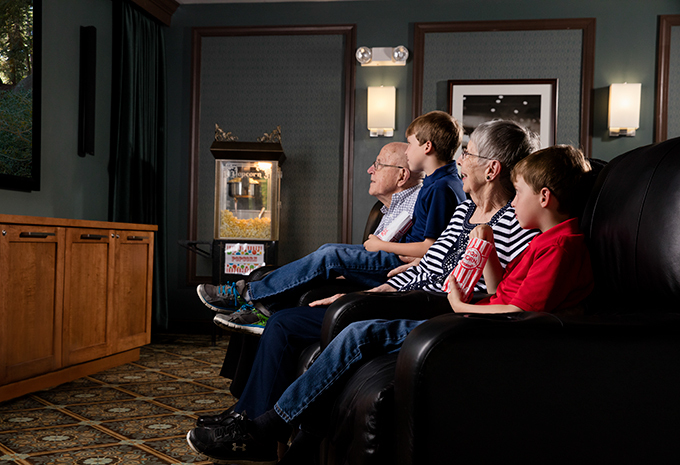 You’ll love how everything was designed with your safety and convenience in mind. 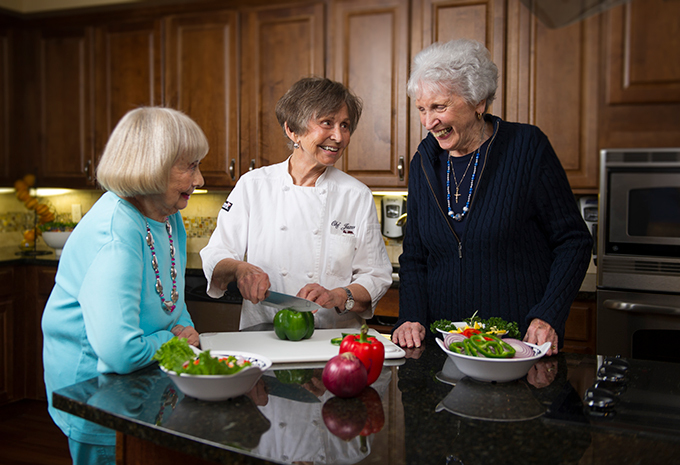 Brightview Mays Chapel Ridge is here to give you the help you need when you need it. 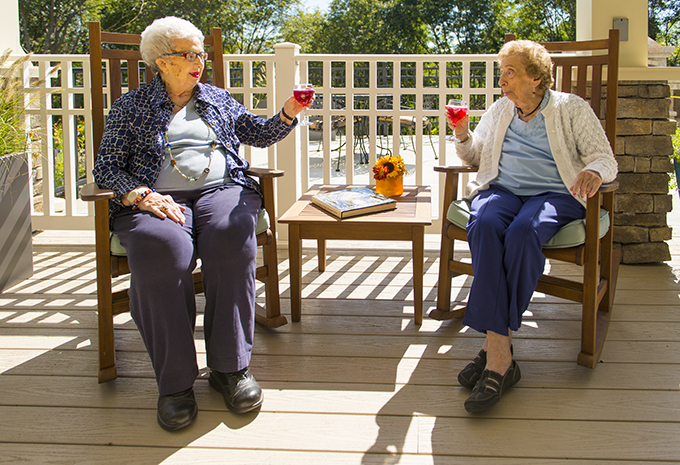 With apartments for Independent Living, Assisted Living, and Memory Care, you can stay with your friends in the community you love, even if your care needs change. 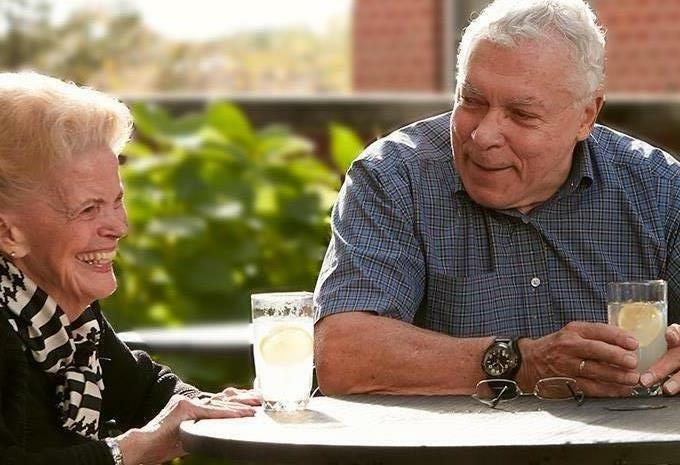 Whether you’re just looking to shed all your pesky chores or if you need help with mobility, managing your daily medications, or care for Alzheimer’s disease or other forms of dementia, we’ll work with you and your family to meet your individual needs.